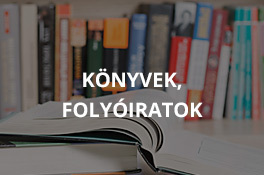 Hungarian-Armenian Library is a constantly growing online database of books, white-papers, lectures, exhibitions and biographies of famous Hungarian-Armenian people. It aims to collect and share all the knowledge and cultural heritage Hungarian-Armenian people gathered during the past centuries by giving free access to all these materials (books, papers, photos). The Library is organized and collected by the Transylvanian Armenian Roots Cultural Association. The number of Armenians living presently in Hungary is about 15,000. These Armenians came in three waves over the centuries, although according to the evidences a few Armenians accompanied even our conquering Hungarian forefathers. The first wave of Armenians came from the town of Ani in the 13th century, who had to flee from their home town. They fled first to the Crimean peninsula, from there they went to Moldavia, and later on settled down in Transylvania during the second half of the 17th century. There with the permission of Apaffy Mihály I., Prince of Transylvania, they founded Szamosújvár and Erzsébetváros towns with sovereign administrative and legislative rights, and also settled down in Gyergyószentmiklós and Csíkszépvíz towns. These Armenians lived in close colonies, which started to fall apart slowly first when after the Trianon Peace Treaty Hungary lost Transylvania to Romania and later on this process was quickened during the Second World War and the following decades’ political and economical situation. During these years the Hungarian-Armenians moved to Hungary in huge numbers and most of them lives in Budapest. They are, just as those who stayed in Romania, speak Hungarian as their mother tongue. The second wave of Armenians came during the beginning of the 20th century, fleeing from the Turkish genocide. The third wave came in the 60-70s from the Soviet Union, mostly through marriage, to study or because of political reasons. Their number is not more than a few dozen, and they still speak the Armenian language. Thus the Hungarian-Armenians (the first wave of settlers) form the vast majority (95-97%) of the present Armenian minority in Hungary, who, although abandoned the Armenian language, firmly kept their Armenian identity and culture. The Armenians in the past worked as cattle merchants and artisans (carpet weavers, leather artisans, etc.) by tradition which they changed during the last decades of the 19th century and became intellectuals: they worked in legislation, administration, jurisdiction, military, politics, arts and the academic areas of life. We can remember many well known names with Armenian origins. For example, two of the Martyrs of Arad (Kiss Ernő and Lázár Vilmos) were Armenians, together with ministers and a prime minister who were also Armenians: Gorove István, Gajzágó Salamon, Dániel Ernő, Lukács László and Lukács Béla. 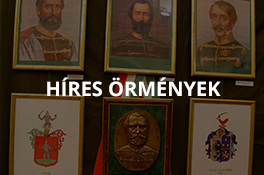 There were also representatives of parliament who had Armenian origins: Novák Márton, Jakab Bogdán, Simay Gergely, Lászlóffy Antal, Mártonffy Márton and Issekutz Viktor. Because of the intellectual work, most families lived in the capital or in the major towns. We should also mention names from the different areas of art such as Hollósy Simon and Barcsay Jenő painters or from the field of literature: Csiky Gergely, Bányai Elemér, Szongott Kristóf or Kolozsvári Grandpierr Emil. There were also well known armenian musicians such as Telmányi Emil and Viski János composers and Hollósy Kornélia singer. In the field of science Pattantyús Ábrahám, dr. Issekutz Béla academic and Puskás Tivadar gained worldwide fame among other Armenian scientists. The same outstanding performance can be said of the present generations. Today’s Armenians also make their names remembered in many areas of life. For example in today’s Parliament at least 5 representatives have Armenian origins. It would be impossible to name all the artists here, to mention just a few: the writer Lászlóffy Aladár, Jakobovits Miklós, painter, Karácsony Ernő painter, Novák Ferenc dancer, Agárdy Gábor, actor and Vákár Tibor, architect. The Transylvanian Armenian Roots Cultural Association tries to keep all people with Transylvanian Armenian origins together to keep their Armenian identity, culture and traditions. The association ran several candidate during the 1998 ethnic minorities self-government elections and from the districts they won formed the Armenian Ethnic Minorities Self-Governments of Budapest Coalition. The two organisations work together to form a very characteristic and strong social and cultural background, which is essential because the traditions, origins, identity and relation to their “homeland” of the Transylvanian Hungarian-Armenians is much different than that of the recently immigrated Armenians. • Regular cultural Programs: the Budapest Armenian Club is held monthly, on the third Thursday of the month. • Own books and pamphlets printed, for example the Transylvanian Armenian Museums series – all of which will be accessible here in the Library. 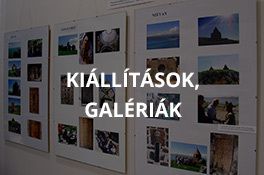 • Exhibitions organised in Budapest, other towns and also in Transylvania. • Presence on the Internet, making it possible for everybody to keep in connection with the Association, even from outside Hungary. • Close relationship with foreign Armenian organisations, continuous contact with them. • Conferences and programs held time to time. • Travels and expeditions organised, search for new friends and connections, showing the past to the newer generations and remembering older ones. • Own office and informational centre to be able to help members continuously. The association works only in the fields of keeping the cultural identity and thus does not want to be involved in economic transactions, solving administrative and migrational problems and language teaching (especially since the language of the minority is Hungarian).